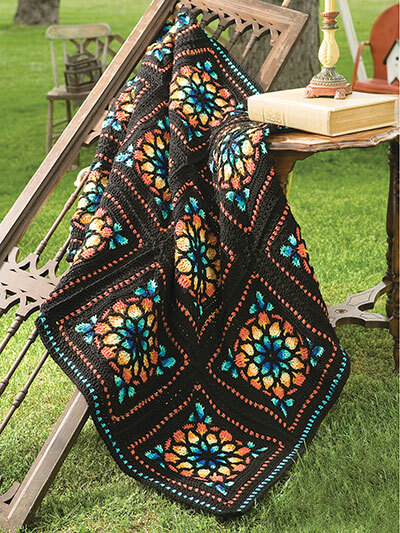 Get the look of stained glass in this stunning afghan crochet pattern. 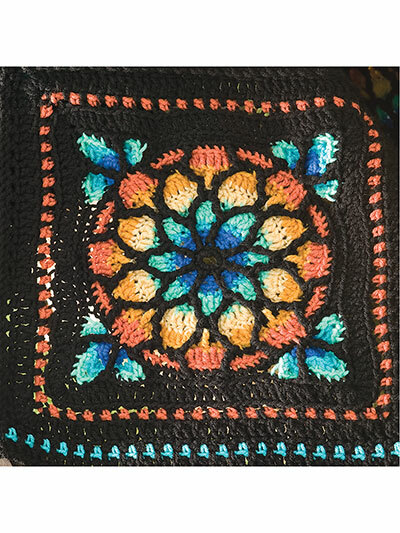 Function and art collide in a beautiful stained glass crochet afghan. You won't know whether you want to cover up with it or hang it on your wall! The finished size of this crochet pattern is approximately 45" x 60". Wish there was a video tutorial to go along with the written pattern. I love this pattern. It's a bit hard to understand the wording in some places but with the close up picture of the square I was able to follow along and complete it. This is an invaluable pattern to have in your crochet library. Positively stunning when it is finished and a wonderful wedding gift. I would really like to buy a chart of this pattern. If someone with the skills could do that, I would certainly pay for it, even though I already bought the pattern. This pattern never fails to impress. It is one of my favorites.